The Genchenpa Extended Scholarship Fund(GESF) was established in 2005 by the Genchenpa families and extended families here in the United States as a tribute to those in our family that have passed away. Our mission is to provide educational assistance to Tibetan children in Tibet and Tibetan refugee children in India. For the first 4 years of the GESF project we were able to assist students at TCV School in India with their higher education. For the last year we have decided to provide assistance to Tibetan children inside Tibet, specifically those in the rural western region of Tibet. In this region of Tibet, children only have access to school till middle school. We are providing funding to aide these rural children to seek further educational opportunities in larger cities in Tibet. 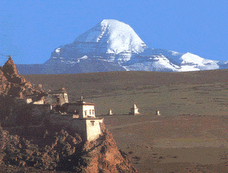 Currently we are working with 3 students in this region of Tibet and plan to help more. To date the funds have been voluntarily donated directly by Genchenpa families annually. In order to make this a sustainable project we would like to involve more of the community, and have decided to start by having our first garage sale. We would like to make this project about more than what our family donates, but a community effort to improve the lives of young Tibetans. Any sellable items or cash donations are greatly appreciated, please contact Nawang Kelsang, Coordinator of the Genchenpa Extended Scholarship Fund @ 360-213-9284 or nkelsang@yahoo.com. Be assured that all of the funds from this garage sale will go directly to the students in Tibet. When: June 11 & 12, 2010 – all day! We encourage you to stop by and browse – there will be lots of treasures to be discovered. Hi, Would love to donate and buy a Boston t-shirt. Is it too late or can I send you my info? If available to us Canadians. Realy great write-up about consuming healthful, specially the part on how healthier consuming truly can conserve your lifestyle. its genuinely truly great and really useful.